GFS E&C rewards hard work, knowledge, and commitment. The company's benefits and human resources programs are designed to attract and retain the best employees. Innovation and entrepreneurial thinking are important parts of GFS's culture . GFS E&C believes that employees are the core of operational expertise and hence we strive to give our employees diverse opportunities to grow personally and professionally. A strong sense of belonging binds our people into one large family. GFS HR policies are structured to respects merit and recognizes achievements. We have a culture that values individual growth and offer well planned career paths with increased responsibilities and enhanced rewards. Consistent information sharing across various levels of the organization is promoted through open door policy. GFS E&C employees have been instrumental in achieving growth by executing its complex projects safely, smartly, and with the highest quality. 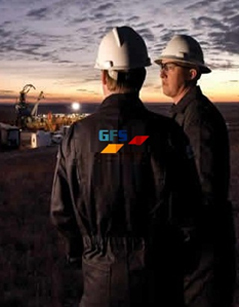 If you value teamwork and want to be challenged in your career and contribute GFS E&C take project execution to a new level, check our Career Opportunities page..